Sunday morning, the Cuyahoga County prosecutor’s office in Cleveland, Ohio, released two reports from outside experts on the November 22, 2014, police shooting of 12-year old Tamir Rice. The reports make the unthinkable – the shooting of a little boy by law enforcement officers, without warning, in the blink of an eye – seem “reasonable,” and reaffirm the official argument about the racial optics of American policing. Rice, you may recall, was playing outside in the snow with a plastic pistol, a fake gun borrowed from a friend for an afternoon. He was seen outside, pointing the toy at cars passing by. Someone worriedly phoned it into the police, offering the caveat, though, that it might also just be a child with a toy. A dispatcher then called for a police car to be sent to the scene, but left out the messy possibility that there might be a more innocent explanation. A police cruiser arrived quickly, and pulled up directly in front of the young man. The officer in the passenger side of the vehicle opened fire through the window even before the car came to a stop. Children nearby heard three “pops,” the sound of the officer firing his gun. Rice was hit once in the stomach and fell, and lay on the ground, slowly dying, surrounded by an increasingly busy swirl of police officers and investigators. He passed away the next day. 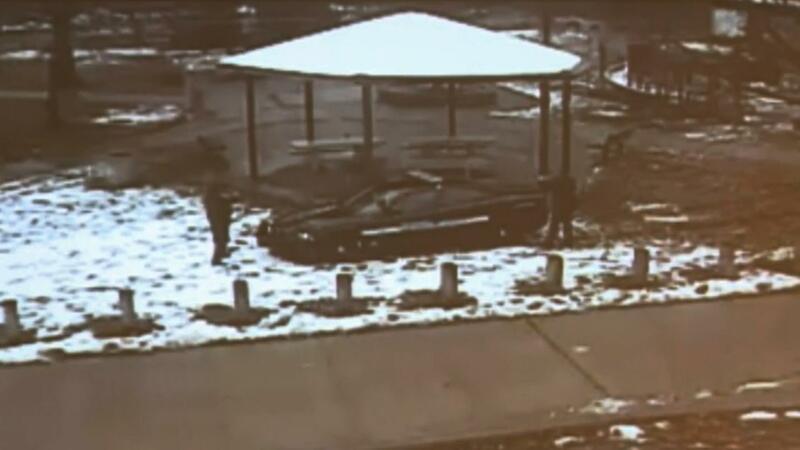 The shooting of Tamir Rice – and its extraordinary visibility – happened, of course, in the midst of several other dramatic tragedies, offering the American public a flashpoint of illumination, a chance to see the day-to-day violence of encounters with police, to recognize the regularity with which black men were shot, strangled, and beat down, left to die in the street. Because he was a child, though, Rice’s killing did more than revealed the knife’s edge of the prison industrial complex, or the hyper-vigilant, increasingly militarized policing of African American communities. It also provided the political movement known as Black Lives Matters with an innocent, a young boy doing what young boys everywhere, it was assumed, had always done: playing imaginatively with a toy. “The lie of American colorblindness,” Chauncey DeVega writes, “is demonstrated in stark and obscene relief by how black boys in Cleveland with toy guns, where the “open carry” of firearms is allowed by law, are shot dead by the police in two seconds while white boys and men with real guns are allowed to walk free, unmolested. In the circumstances narrated in these reports, no lives – except those of the police – appear to matter. They should be a text we analyze carefully in the public sphere. Neither officer gave a statement to help with the writing of these reports, so there is a good deal of abstraction at play here. We don’t actually know what Loehmann claims to have seen. What we have, instead, are race-neutral characterizations of how law enforcement officers, generally, learn to see crime and violence, how they come to make threat assessments, how they are trained to defend themselves. And, once more, we are meant to zero in, as Loehmann was supposedly trained to do, on the set of hands clasping the grip of the gun, on the latent violence they represented, and on the learned response of the officer to this single, powerful sightline. To accept this premise, though, we have to forget absolutely everything that happened before that moment. We have to set aside the crackle of the radio in the car, forget the blur of the high speed rush to the sight, the mental and physical preparations in the car, the atmosphere of the neighborhood, the signification – in this overcharged historical context – of a reported black body with a weapon. We have look away from the tightly gripped Glock in Officer Loehmann’s in hands. We have to pretend that Officer Loehmann’s own biography is insignificant, that his service record doesn’t matter, that the politics of policing in general don’t count, and that historical context doesn’t matter, either. We have to believe this is true in an “open carry” state. We have to believe that this vast backdrop disappeared because of a single physical detail: the gun in the hands. And that, as the reports circumscribe his sight, as his eyes locked on Rice’s facsimile of a weapon, Officer Loehmann may not have even seen Tamir Rice as black. We have to forget decades and centuries of the troubled history of policing. We have to pretend that the history of racial sight doesn’t matter. This is beyond what any rational – or “reasonable” – person could ever believe. We read big, sprawling biographies and long biopics and epic fictional series because we recognize that the sediment of life accumulates in the bends and the depths, and shapes what we do and how we feel. We watch and read these things because we want to see how every detail adds up, and because we believe that you have to know almost everything in order to explain almost anything. Why, when it comes to a court of law, do we limit ourselves to the already narrow abstractions of reasonableness? “To get so-called experts,” Rice family attorney Subodh Chandra suggested, “to assist in the whitewash — when the world has the video of what happened – is . . . alarming.” Alarming, of course, because it allows us to see a gap between what we know, from years of watching Law & Order, a prosecutor should be doing and what is actually happening here. Alarming, as well, when we follow this logic to its grim, awful conclusion. If the officers who arrived on scene were acting reasonably, by virtue of their training and within their right to self-defense, then we are meant to assign responsibility to Rice’s family, and to those who let him do what would be – in any white enclave – an everyday bit of play. In one of the great paradoxes of our time, it would be only that context and only those biographies that matter. The actual material circumstances of black life – that sediment we study when we try to explain individual action – matters only when we seek to explain away black death. Blackness becomes, in this instance and others, a rationale for killing. All of these – reasonable justifications. These reports ask you to jettison generations of scholarship on race. They posit the existence of a sort of “police gaze,” a narrow, hemmed in line-of-sight that has no intersection. No overlap. No layers. It steals all of the oxygen away from other ways of seeing and being. An African immigrant stands on his stoop and reaches for his wallet and is shot dead. A young man angrily confronts an officer and is shot dead. A man reaches inside his car for a driver’s license and is shot. Another walks through a store carrying a pellet gun and is shot. Every cop called to address each of these acted, by the perverse standard of these reports, reasonably. Because every one of them saw a threat. None were punished or successfully prosecuted. Even in this terrible age, these reports are especially chilling. Someone out there was concerned enough to dial 911 and report a possible shooter, but they were also cautious enough to wonder whether it might only be a child at play. Within minutes, that child was dying. We should be terrified by the prospect that policing has become a reflexive act and not an investigative one. That, as the reports describe it, every cop in a black-and-white is a hammer, trained not to think but to act. That they see the same thing differently than the rest of us. That, in a court of law, their pristine view of a weapon matters more than life itself. And that, in our everyday, their simple intersection with black life, and their representation of blackness itself as a source of danger, should justify every single killing, and turn the killing of fellow citizens into a quotidian feature of our world. Because, in the end, those reports have generated nothing more than a giant, collective shrug.